This plug-in can create any user interface look designer wants – from plain headers or sidebars, to a composite application with toolbars, menus, help-panels, sub-forms, etc. 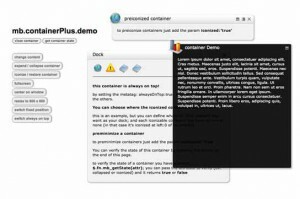 This plug-in allows you to build fully featured containers. These containers can be set to drag, resize, collapse or minimize. 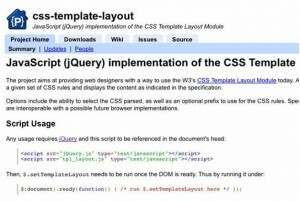 This jQuery plug-in allows web designers a new way to use W3’s CSS Template Layout Module. Masonry is a layout plug-in for jQuery. 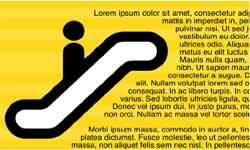 It provides fitting the CSS floats within web page layout. 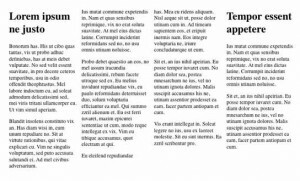 This plug-in automatically layouts web page contents in a newspaper column format. 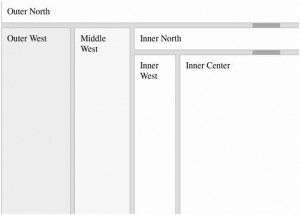 You have facility to provide either column width or a static number of columns. 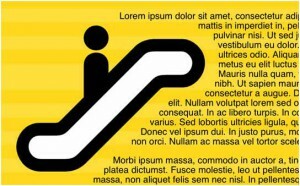 This plug-in wraps the text of web page around the image. This jQuery plug-in loops top level child component of particular element and give them a minimum height values to that of the tallest. 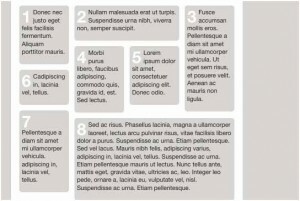 This jQuery plug-in is used to create a newspaper styled column layouts using HTML. 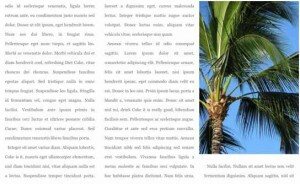 This is another plug-in that can also used for creating a newspaper styled column layout. 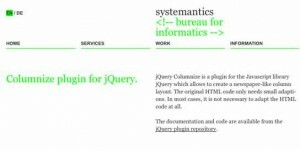 This jQuery plug-in includes four algorithms for placing HTML elements in web pages. 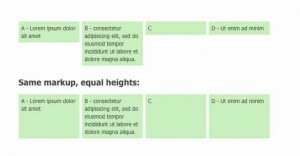 This provides ultimate solution for laying out web page elements if margin padding and borders are given appropriately.